University Heights Townhome with 2 bedrooms and 2.5 baths partial brick 2 story. 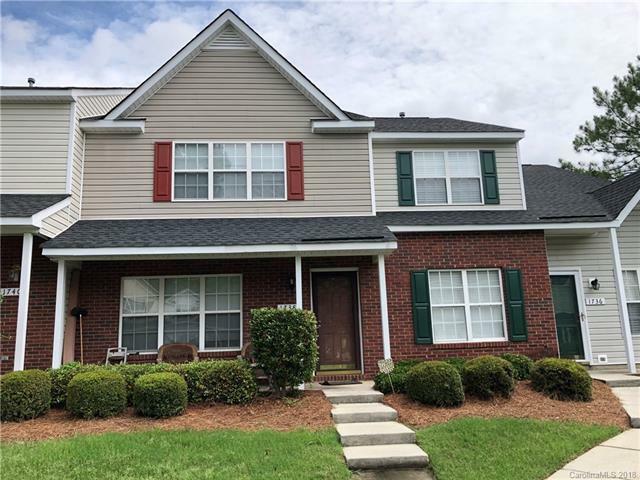 Featuring new kitchen appliances, family living room with fireplace,dining area, Vaulted ceiling in master bedroom, Newly painted agreeable gray colors throughout, front porch and fenced back yard with patio. Water and sewer are provided by the HOA. All townhome owners are members of 2 associations: 1. Master Assoc, $352 per year. 2. Sub Assoc which are the expenses solely for the townhomes maintenance of exterior for $199 per month. Offered by Premier Choice Realty Inc. Copyright 2019 Carolina Multiple Listing Services. All rights reserved.